Benedict Cumberbatch is a British film and television actor, best known for playing Sherlock Holmes in the BBC series Sherlock. He has also starred in recent Hollywood blockbusters such as Star Trek Into Darkness and The Hobbit film franchise. Who is Benedict Cumberbatch, how old is he, when is his birthday, how tall is he and what is his background? Celebrated actor Benedict Timothy Carlton Cumberbatch was born on the July 19, 1976. He is 42 years old and 1.83 metres tall. His father, Timothy Carlton (real name Timothy Carlton Congdon Cumberbatch), and mother, Wanda Ventham, are both actors. He grew up in central London, living in the exclusive Royal Borough of Kensington and Chelsea. At the age of 8 he was sent away to boarding school, first to the Brambletye Prep School and then to Harrow. After school Cumberbatch spent a year teaching English in a Tibetan monastery in Darjeeling, India. He then studied drama at Manchester University and the London Academy of Music and Dramatic Art before becoming a full time actor. Why is Benedict Cumberbatch famous and what is his occupation? Benedict Cumberbatch is a film, theatre and television actor, most famous for his role as Sherlock Holmes in the BBC series Sherlock and as the Marvel superhero Doctor Strange. He has also provided the voice and motion for Smaug the Dragon and the Necromancer in a number of the Hobbit films. What is Benedict Cumberbatch’s net worth? Cumberbatch’s net worth is estimated to be around $17million. How much does Benedict Cumberbatch earn? As an actor, Cumberbatch’s income fluctuates from year to year. He is thought to earn around $500,000 for a season of Sherlock and about $1million per film. Where does Benedict Cumberbatch live? The actor has had a house in Hidden Hills, Los Angeles since purchasing it in 2015. In the same year he also bought a five-bedroom townhouse in Camden, north London but has not yet moved in as disputes surrounding the planning application for his renovations are continuing. How much does Benedict Cumberbatch weigh? Cumberbatch’s usual weight is 172 pounds or 78kg. To portray Khan in Star Trek Into Darkness, Cumberbatch had to eat 4,000 calories and carry out two hours of weight training each day to bulk up for the role. Is Benedict Cumberbatch married, who is he married to, who has he dated in the past? On Valentine’s Day 2015 Cumberbatch married Sophie Hunter, a British theatre and opera director. They had been friends for 17 years before their wedding. Prior to his relationship with Hunter becoming a romantic one, Cumberbatch had been linked to Dakota Johnson, Liv Tyler and Lydia Hearst. Who is Benedict Cumberbatch in The Hobbit, what other films has he been in, what roles has he played? In 2012, the British star provided the voice and motion-capture for both Smaug, the Dragon, and the Necromancer, in An Unexpected Journey, the first of The Hobbit films. He again played Smaug and the Necromancer in The Desolation of Smaug released in 2013 and The Battle of the Five Armies, which came out in 2014. In 2013, Cumberbatch played Khan in Star Trek Into Darkness. In the same year he starred in The Fifth Estate as Julian Assange, slave owner William Prince Ford in 12 Years a Slave and played Charles Aiken in August: Osage County. In 2014, the talented actor played British cryptographer Alan Turing in The Imitation Game. For his work in The Imitation Game, he was nominated for the Golden Globe, BAFTA, SAG and Academy Awards for Best Actor. In 2014 he also provided one of the voices for Penguins of Madagascar, and joined Johnny Depp in Black Mass. More recently, he starred as Doctor Strange in the film of the same name. He stars in the 2018 superhero epicAvengers: Infinity War. 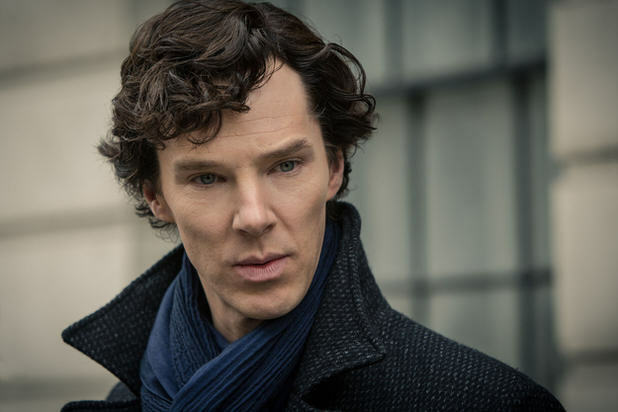 What TV shows has Benedict Cumberbatch been in, what roles has he played? Benedict Cumberbatch’s most celebrated television role is that of Sherlock Holmes in the BBC television series Sherlock. In 2014 he won an Emmy Award for Best Actor for Sherlock: His Last Vow. Cumberbatch’s earlier television roles included portraying Vincent Van Gogh in Van Gogh: Painted with Words, which was released in 2010. In 2012, Cumberbatch also has a lead role BBC miniseries Parade’s End, for which he received an Emmy Award nomination for Best Actor in Miniseries or TV Movie. Does Benedict Cumberbatch have any children, what are their names? Benedict and Sophie have two sons, Christopher Carlton Cumberbatch, whom they welcomed in 2015 and Hal Auden Cumberbatch, who was born in 2017.